Hey Tom, looks like a great start!!! Thank you! It is a great start! The more my brother and I look at it the better it is. 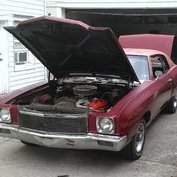 A very solid, well optioned, original 71 402 Monte Carlo.